Technology is your best friend in college. Without my best bud by my side (my iPhone), I would have never been on time to class in the morning. I would also have forgotten due dates, and not had music, money, or communication! 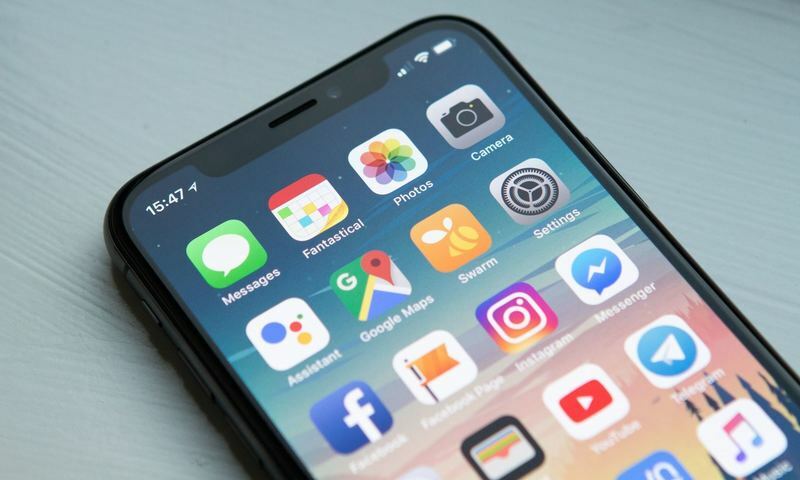 Some of the apps that have been lifesavers for me personally are the Calendar app, the Reminders app, the Mail app, the Clock app, Spotify, Cash App/Venmo, Canvas, Google Drive, and more. I am going to talk about a few of my favorites! If you have an iPhone you probably know about these four apps. When you start your college career, the apps listed above will save your life! It gets so crazy sometimes when you want to do so much! If you’re anything like me, you’re down for any plan that is thrown at you. “Hey man want to hang this week?” Yes! “Hey dude want to go to a show next Saturday?” Yes! “Tony! Want to go skate on Friday at 4:36 pm?” Yes! “What’s up Tony! Let’s catch up soon! Caf this Wednesday?” Yes! Calendar will remind you what days and times you have booked for the week, month, and even year! The Reminders app will rejog your memory on smaller tasks that you might forget about throughout the day. The Mail app will put all of your email accounts in one place to help you stay organized. And the Clock app will wake you up for it all! First thing to know about Spotify. THEY CARE. If unlimited music for $10 a month already didn’t sound good enough, they actually have a Student Premium account for just $5 a month! You get the premium version of Spotify, with a free Hulu and Showtime account! That deal should be illegal, honestly. If you are anything like my friends, you forget your wallet, or… “forget your wallet” (if you know what I mean). Cash App and Venmo are huge helps for that. With these apps you can send money to your friends’ phones in just a few seconds. These apps also come in handy in the drive-thru when you can’t place more than two separate orders, so everyone in the car can just pay the driver! The cool thing about Cash App is that you can get a “Cash Card” through them that acts just like a debit card. It only spends what you have stored in the app and you can get discounts at places like coffee shops and fast-food restaurants. Sometimes you are busy and do not have time to go onto your computer and login to Canvas to see your grades and upcoming assignments. The Canvas app is a super convenient way, especially here at Biola, to check your grades, assignments, study guides, message your professor, and even upload homework! If you turn on push notifications it can remind you of things that are due, and let you know when something has been graded. It is super helpful. Google Drive literally does it all. You can write papers, make powerpoints, spreadsheets, forms, and much more. With all of these features you can also work collaboratively, which is genius for group projects. What is super sick about having your Google Drive through Biola University is that you get unlimited cloud storage space. AKA, you’ll never worry about that storage warning on your phone ever again! I use my Google Drive for many things. My favorite thing to use it for is to store and keep all of my photography and art organized and in one place! With Google Photos, I can also transfer all of the pictures on my phone into Google Photos to free up space on my phone! Google Photos will keep the pictures organized by time, location, face recognition, and even by objects—it’s amazing. These have been some of my favorite and useful apps through my college years so far. If you know of any other that I, or others, might love then let me know!